Birding Is Fun! 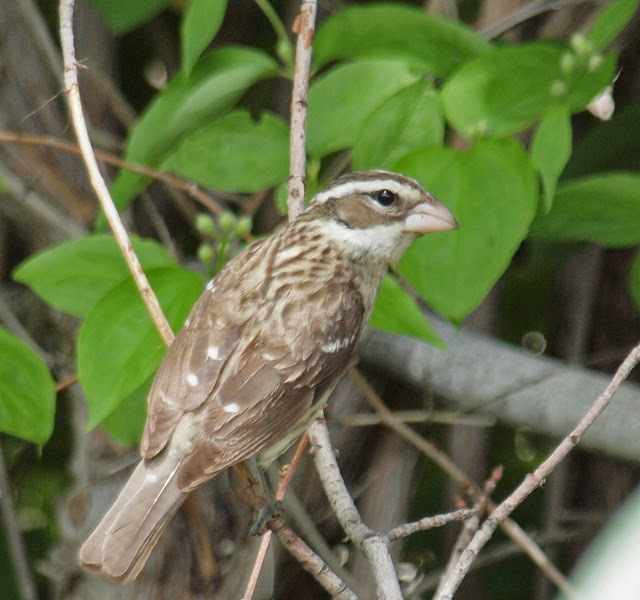 : Rose-breasted Grosbeak in Utah: Updated! I don't have any special insights on this bird, but if I saw it on my home turf, I'd call it a Rose-breasted Grosbeak. I think you're spot on in your identification. @John @Stephanie @Ryan - Thanks all! I set up a make-shift blind and sat in it for a couple hours and got more photos of the Rose-breasted Grosbeak, which leave no doubt in my mind. I'll add the best photo here in a moment. Sure looks like the rose beaked grosbeaks we have around here in New England! On June 4 we experienced a male rose breasted gb window strike. We feared it was dead but when went to its aid and found it still breathing, we protected it until it was able to fly away. He has been back several times--MUST be the same one, of course. Just an awesome experience since it lived an had a happy ending! @Wild_Bill -Thanks for the confirmation from the east coast!